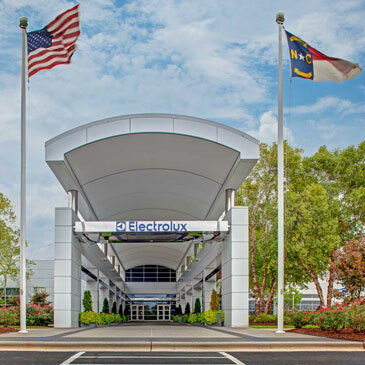 Electrolux has been recognized by the Ethisphere Institute as one of the 2011 World’s Most Ethical Companies. The ranking names 110 companies in 38 industries that surpass their industry peers. They are rewarded for implementing business practices and initiatives that are instrumental to the company’s success, benefit the community, and raise the bar for ethical standards within the industry. Ethisphere Institute reviewed thousands of companies through in-depth research and multi-step analysis. This includes analysis of codes of ethics, litigation and regulatory infraction histories; evaluations of investment in innovation and sustainable business practices. In addition, it identified activities that improve corporate citizenship; and studying nominations from senior executives, industry peers, suppliers and customers. “Sustainability is an integral part of the Electrolux business strategy, and this award further distinguishes us as an industry leader,” says Henrik Sundström, VP Group Sustainability Affairs. This is the fifth year Ethisphere Institute, a think-tank dedicated to the creation, advancement and sharing of best practices in business ethics, corporate social responsibility, anti-corruption and sustainability, publishes the World’s Most Ethical rankings. Read about the methodology and view the complete list at http://ethisphere.com/worlds-most-ethical-companies-rankings/.